Happy New Year from Book Bloggers International!! Boy, do we have some fun stuff planned for you in 2016! 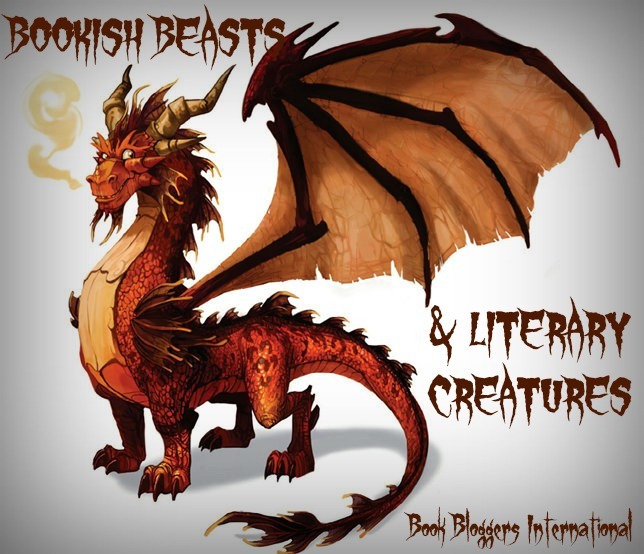 In fact, we are kicking off the fun early this year with a fun-filled month of BOOKISH BEASTS & LITERARY CREATURES. We have a full line-up, from aliens and dragons to golems and vampires and so much more! Tomorrow, you will find a special New Year's post coming your way, and scattered throughout the month, you may even find fun interviews from fellow book lovers across the blogosphere. We can already feel that 2016 is going to be a great year!! A couple of spots are still available for guest bloggers this month. If you are interested, contact Tif at bookbloggersintl (at) gmail (dot) com. You can also let us know that you want to be featured here at Book Bloggers International by completing our form here. ICYMI: In 2015, we started a new monthly newsletter spotlighting a fellow book blogger, sharing amazing giveaways and events, favorite monthly posts, and more! Subscribe here TODAY! fredamans ... It's going to be so great! !